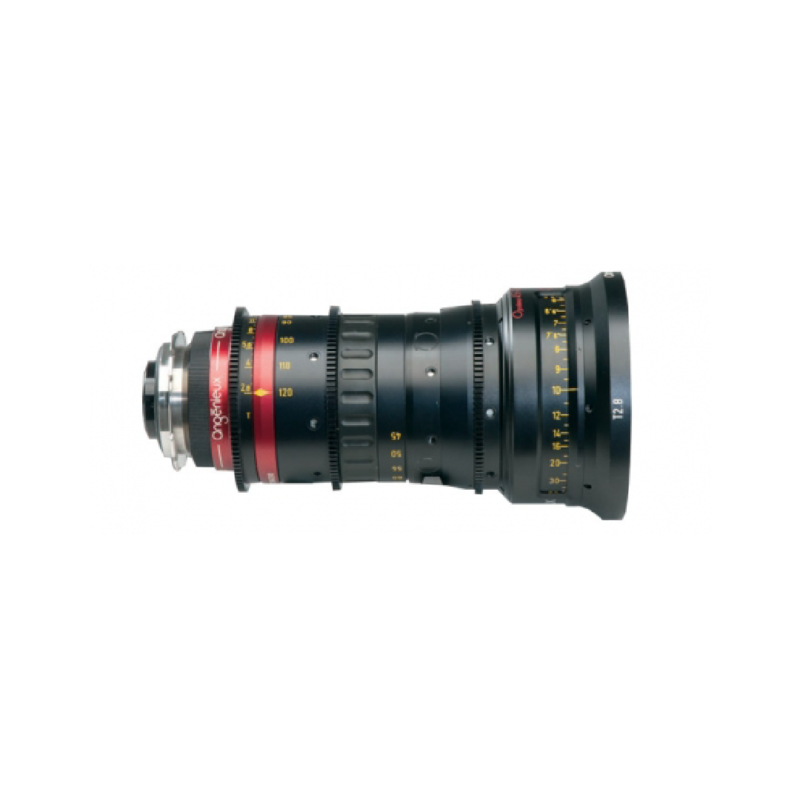 Angenieux Optimo Zoom PL 45-120mm T2.8 designed for film, is equally suitable for Alexa, RED, PMW-F3 and AF-101 etc with an impressive contrast and color reproduction. /nThis lens is the third in the line of short, light and fast zooms. Small and light enough for handheld cameras, steadicam or crane, long enough for close-ups./n It perfectly complements the other lightweight Optimo zooms ? Optimo 28-76 and Optimo 15-40- to create a unique, three zoom lens system with total combined focal range of 15-120mm.